>High flows, high peaks, low productivity. This is not a good thing to see. It is the flows for Boulder Creek. It has turned into Boulder River. The water is the color of chocolate milk. I can’t see the fish. Who knows what is going on below the surface. It is giving me lots of time to tie more flies and read fishing blogs. Of course there is a bit of work, getting Ben a cool new race suit, and CTT stuff always to be done. 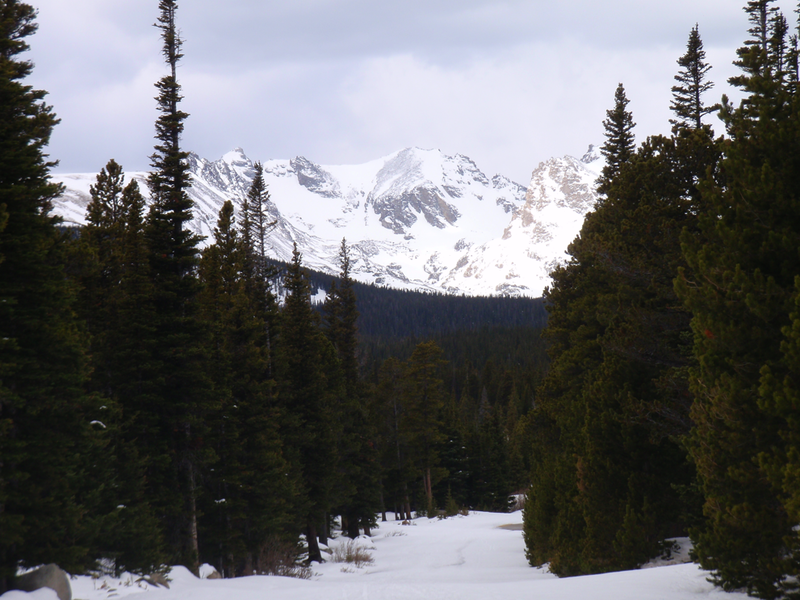 Coach Mark and I got a short hike up to Brainard Lake yesterday. It is an amazing place to camp, hike, hang out, and hopefully fish this summer. 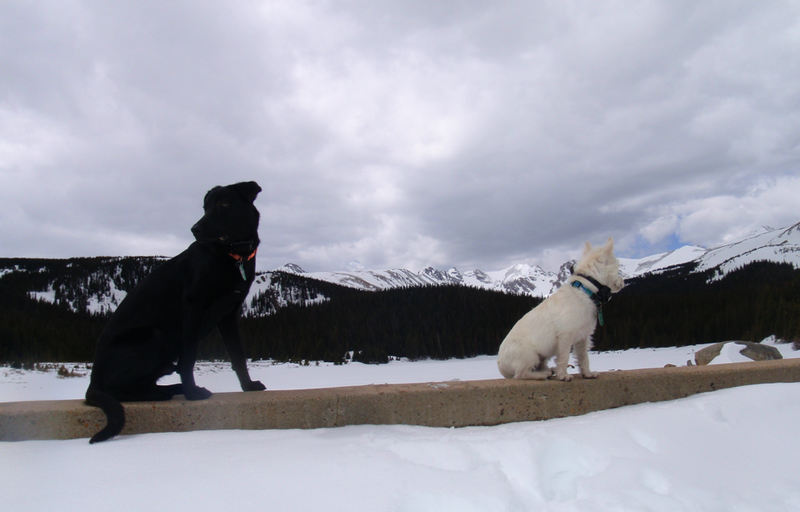 It was still snowy and the lake was frozen, but we saw very few people and were able to wear the dogs out. This entry was posted in dogs, hiking, Marky V, work by Rory. Bookmark the permalink.